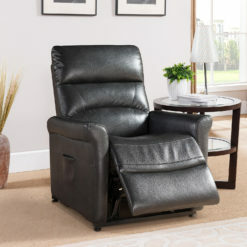 Kick back and relax in style with a drink in one of two cup holders in the Terry recliner. 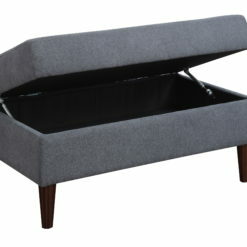 Included with your cup holders are two storage compartments under each arm rest. 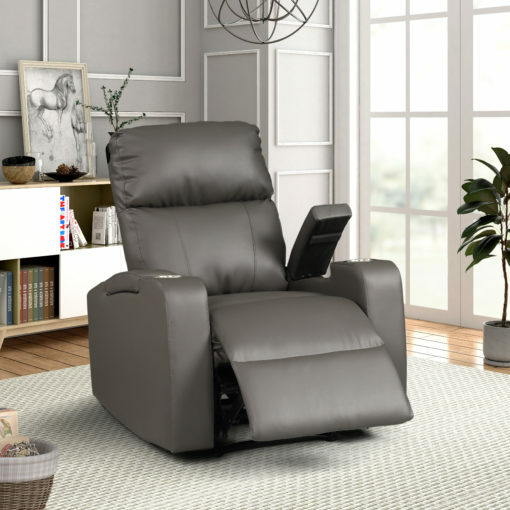 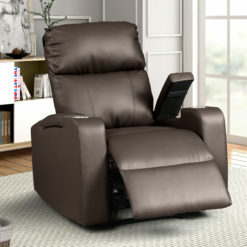 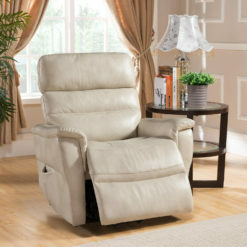 Our Terry recliners are upholstered with faux leather and an easy-to-use reclining system. With the touch of a button, you can customize just how much you want your Terry to recline. 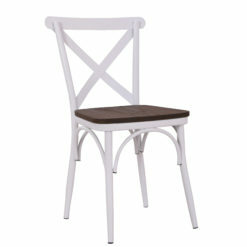 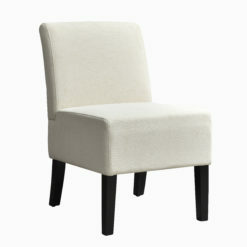 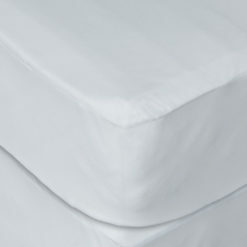 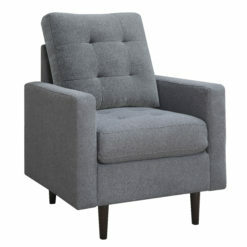 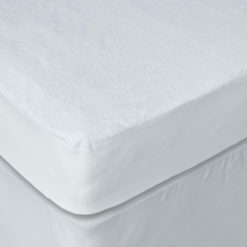 With its’ simple modern design, you can incorporate the Terry into any part of your home. 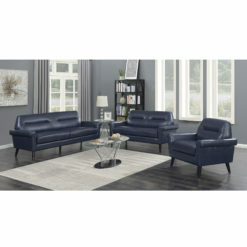 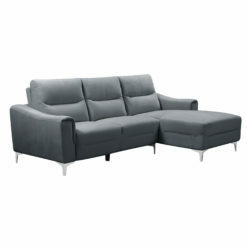 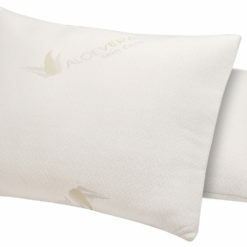 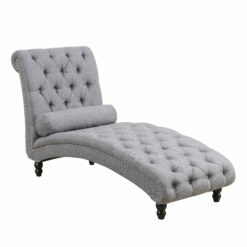 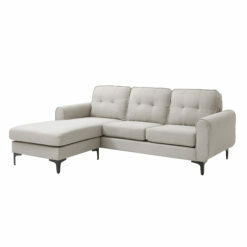 Whether it be your living room, bedroom, or your theater room, let the Terry add some much needed luxury to your life.